Many old cottonwood trees abound in and around Dawson City. In this scene it appears that an old shack has been overwhelmed by these towering trees. 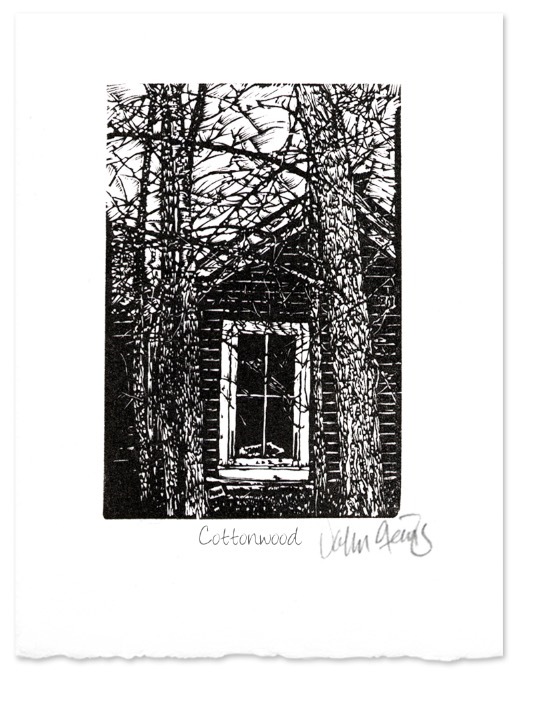 This print shows an abandoned shack with an overgrown front yard with a couple of cottonwoods. Lots of old cottonwood trees abound where I live, both in town and out in the bush. Love it! You are very lucky to have so much on your doorstep to inspire you.